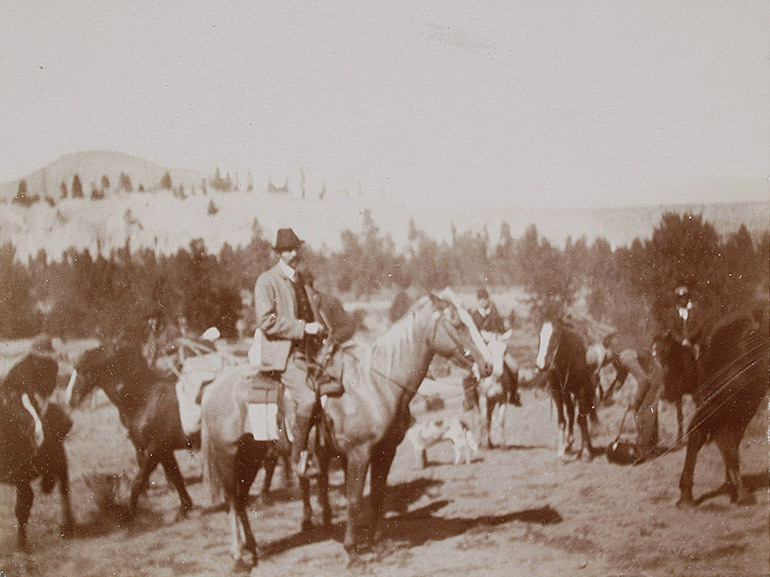 An image of Franz Ferdinand visiting the Okanagan in 1893. When: Wednesday, April 3 starting at 6:45 p.m.
From there he journeyed to the Okanagan where he spent a week hunting near Penticton; he also briefly visited Kelowna. Ferdinand would later become a key figure in history as his assassination in 1914 sparked the beginning of the First World War. The community is invited to join UBC Okanagan Professor Emeritus Maury Williams at a special history presentation on April 3. Williams will use photographs from Ferdinand’s 1893 visit to share the story of his journey. This talk is organized by UBC Okanagan’s history and sociology department, in partnership with the Okanagan Regional Library. It will focus on Ferdinand analysis and impressions of life in the Okanagan. When: Saturday, April 6, 8 to 10 p.m.
Now in its fourth year, the Pony Cabaret returns with a stellar line-up of local and west coast talent. Hosted by Miss Cookie LaWhore, Pony showcases performers across a variety of disciplines. Artists this year include Juno-nominated musician Tariq, Calgary humourist, writer and poet Nikki Reimer, local impresario Erin Scott, comedian Peter Navratil, a teen juggler and at least one mouthy drag queen. Miss Cookie LaWhore, host of the event, is the alter-ego of UBC Associate Professor Michael V. Smith. The role of Miss Cookie, explains Smith, is to be the biggest freak in the room, and to make space for everyone else to feel a little more normal. The goal of this event is to make a space that everyone can feel welcome, regardless of who they are or where they come from. It also helps to explore what an inclusive space looks like and how to make room in a community for queer and trans identities, he explains. The goal, says Smith, is to make our communities work intersectionally to make room across differences of black and indigenous people of colour, LGBTQ+, women, ability and class. There is a serious side to Pony, he notes. All proceeds from the event go to the Living Positive Resource Centre, which provides harm reduction, prevention and education resources along with supportive services that focus on individual and community health and wellness to anyone living with, affected by, or at risk of HIV, hepatitis C or related health issues. This event is sponsored by the UBC Equity Enhancement Fund, which supports community-based initiatives that enhance equity, diversity and inclusion. Assistant Professor Hadi Mohammadi runs the Heart Valve Performance Laboratory (HVPL) through UBC Okanagan’s School of Engineering. Lead author on the study, he says the newly developed valve is an example of a transcatheter heart valve, a promising new branch of cardiology. These valves are unique because they can be inserted into a patient through small incisions rather than opening a patient’s chest—a procedure that is generally safer and much less invasive. 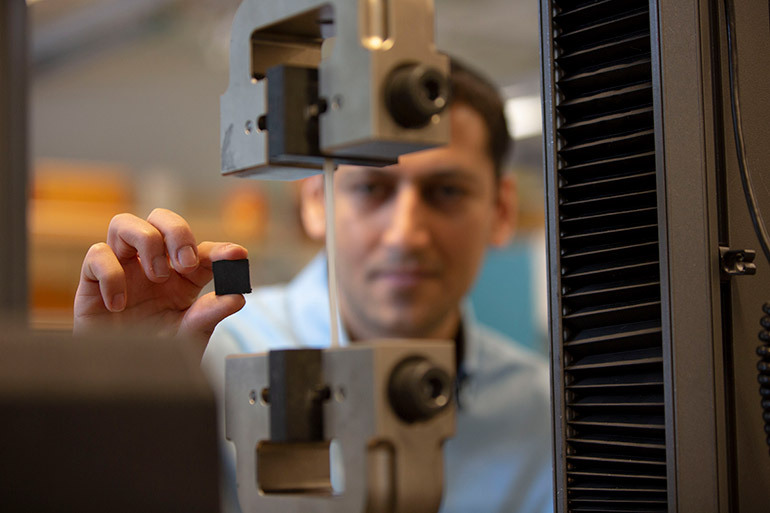 The new valve solves that problem by using naturally derived nanocomposites—a material assembled with a variety of very small components—including gels, vinyl and cellulose. 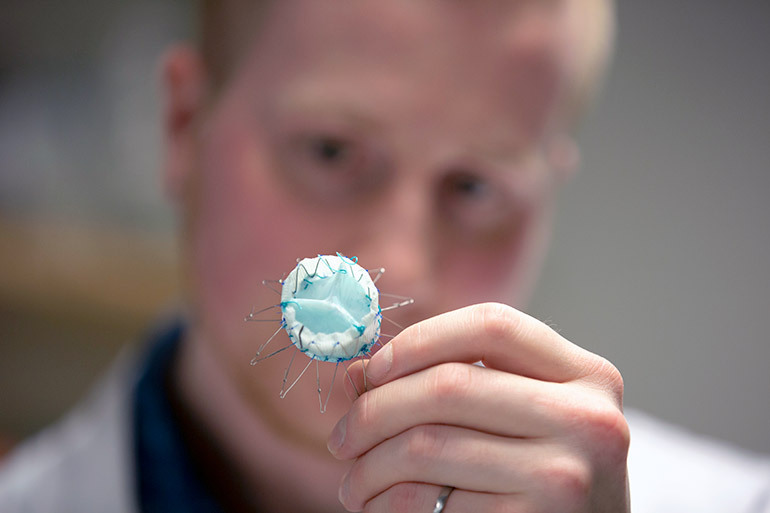 The combination of their new material with the non-invasive nature of transcatheter heart valves makes this new design very promising for use with high-risk patients, according to Mohammadi. 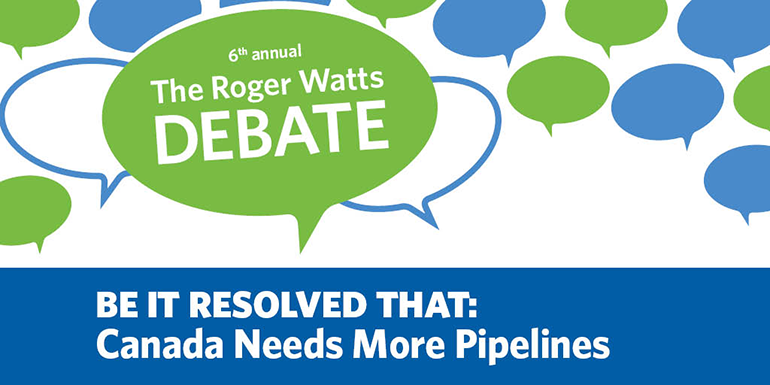 When: Wednesday, March 27 starting at 5:30 p.m.
Carl Hodge, a UBCO political science professor, says the topic was easy to choose as it’s on the minds of most Canadians. Student debaters will be judged by a panel of community judges and a $1,000 prize will be awarded for first place, with $500 for the runners-up. This event takes place March 27 at the Rotary Centre for the Arts. It is free to the public and supported by donors and community sponsors. This installation by Timur Si-Qin titled East, South, West, North, was recently on display in Beijing. When: Thursday, March 14 from 7 to 9 p.m.
A UBC Okanagan fine arts student was so inspired by an internationally acclaimed artist, he invited him to Kelowna. New York-based visual artist Timur Si-Qin will host a lecture on Thursday, March 14 at the Rotary Centre for the Arts' Mary Irwin Theatre. Si-Qin’s work evolves at an intersection between nature and technology and investigates how people are conditioned through marketing to respond to generic imagery such as brand logos. Evan Berg, a Bachelor of Fine Arts (BFA) student in the Faculty of Creative and Critical Studies (FCCS), became familiar with Si-Qin’s work a couple of years ago after seeing some images online. Berg took it upon himself to find funding to bring this internationally renowned artist to UBCO. He was successful in his application to UBC’s Tuum Est fund and Reichwald fund for Germanic Studies. 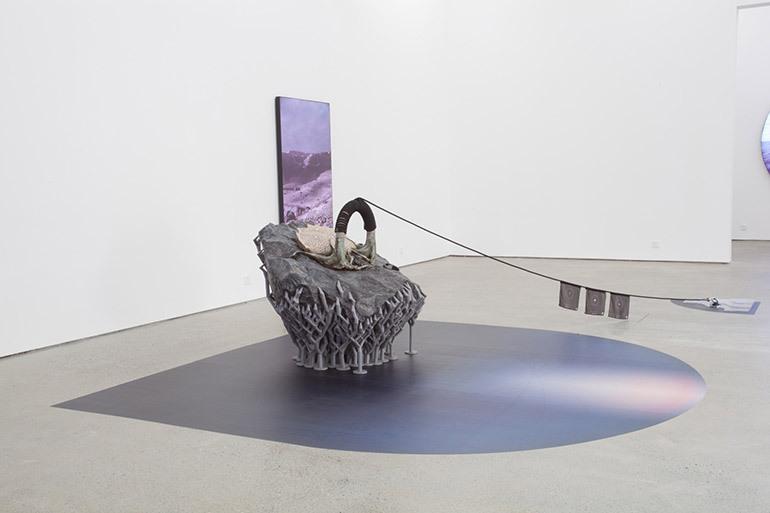 Having access to these funds made it possible to have Si-Qin come to the Okanagan, share his work and talk about his studio practice, explains FCCS Dean Bryce Traister. Si-Qin, an artist of German and Mongolian-Chinese heritage, was born in Germany in 1984. He grew up in Berlin, Beijing and America and is now living and working in New York City. His cultural identity is part of his work—which melds aspects of spirituality, marketing, technology, nature, cultural evolution and the study of knowledge. His work includes 3D-printed sculptures, photo light boxes, computer-generated imagery, installations and virtual reality. He also creates images of generic natural landscapes and contextualizes them in the same realm as advertisements through his own brand New Peace. The lecture will be a free event in Kelowna's downtown cultural district. The event is supported by UBC’s Tuum Est Student Lead Initiative Fund, Visual Arts Course Union, FCCS' Reichwald fund for Germanic Studies and the Rotary Centre for the Arts. The university this week named its 2019 Researchers of the Year. These prestigious annual prizes are awarded to the campus’ top researchers, with this year’s recipients recognized for their contributions to the development of innovative digital tools for marginalized communities, advances in sustainable energy and construction, and support for youth living with developmental disabilities and autism. Awardees for 2019 are Associate Professor Jonathan Corbett in the category of social sciences and humanities, Professor Kasun Hewage in the category of natural sciences and engineering and Associate Professor Rachelle Hole in the category of health. Student researcher awards were also presented this year to master's student Emily Giroux and doctoral student Katrina Plamondon. While the science and art of cartography may have ancient roots, Associate Professor Jonathan Corbett is a modern cartographer who is working to map out how digital multimedia technologies can help preserve and strengthen remote or marginalized communities. He is one of the country’s leaders in bringing geoinfomatics to a web-based, community-facing, knowledge platform. His Geolive software uses an online map as a storytelling tool to help marginalized communities feel empowered and overcome social exclusion. Kasun Hewage is a professor of engineering and associate director with UBC’s Clean Energy Research Centre. He takes a holistic approach to investigating smart energy and construction sustainability. His expertise includes life cycle thinking based analysis of cost-effective and renewable energy production and green construction processes that are coordinated by cutting edge science and technologies. Earlier this year, Hewage was named the inaugural FortisBC Smart Energy Chair, with the goal of investigating how energy use in BC can be optimized to reduce the province’s greenhouse gas footprint. With a career spanning over 20 years working with individuals with physical and developmental disabilities, associate professor Rachelle Hole has focused her research on the socio-cultural practices that promote inclusion and equity. She has a particular interest in participatory research methods and strives to work directly with communities to empower participants. Her most recent work, the Transiting Youth with Disabilities and Employment (TYDE) project, was awarded $1.3M in federal funding, involves working directly with community groups to help prepare youth living with intellectual disabilities or Autism Spectrum Disorder find meaningful employment later in life. 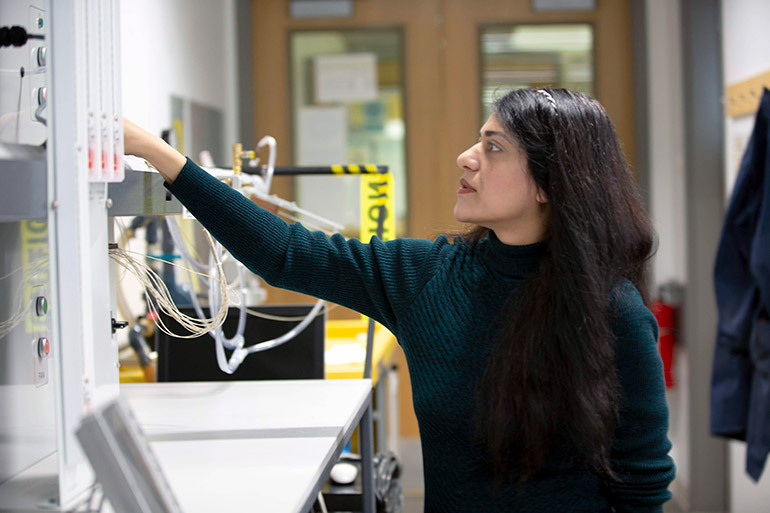 UBC Okanagan doctoral student Sadia Ishaq's research has found that Alberta, British Columbia, Ontario and Quebec have embraced alternative stormwater management technologies. Measures such as rooftop gardens, vegetative strips and bioswales—manmade trenches created for rainwater runoff—are becoming more common in urban planning. Known as low-impact developments (LIDs), these measures allow the water cycle to flow more smoothly. In a recent study, researchers at UBC Okanagan’s Life Cycle Management Laboratory compared how different jurisdictions are handling LIDs. The investigation’s goal was to establish a decision-making tool for governments to help them incorporate LIDs into their urban planning as a way to address water management needs. LID refers to site design practices that reduce the impact of water runoff. Contrary to traditional systems, LID tries to mimic the natural water cycle in urban settings and helps to harvest rainwater or snowmelt as well as to remove pollutants. The UBC researchers found that the guidelines and approaches to implement LIDs vary from one province to another and one municipality to another. Some have embraced LIDs, while others have not. In particular, the study found that Alberta, British Columbia, Ontario and Quebec have embraced alternative technologies for stormwater management while New Brunswick and the three northern territories continue to lag behind. Although the study highlights the positive impact of LIDs, it also points out that more research is needed to determine the potential health risks of these systems on the public. Specifically, the microbial quality of storm runoff in urban areas. “This type of sustainable infrastructure design can be enormously beneficial as communities grapple with aging infrastructure and a changing climate. This analysis can help promote the LIDs and extend their benefits as urban planners prepare our cities for the future,” says Ishaq. The research, recently published in the Journal of Environmental Management, was supported by funding from the Natural Sciences and Engineering Research Council of Canada. When: Thursday, March 14 at 5 p.m. This is the final round for the eight finalists who have been competing against fellow graduate students in preliminary heats since early February. The most compelling students will share in $6,000 in prize money, and the winner will secure a place in the Western Regional 3MT Competition. Developed in Australia by the University of Queensland in 2008, 3MT is a fast-paced and challenging academic competition that enables students to showcase their research to a broad audience. In 2011, UBC was one of the first universities in North America to host a 3MT competition, and today 3MT competitions take place at more than 350 universities around the world. The winner of the final round on March 14 will win $3,000 and advance to the Western Regional 3MT Competition taking place in April at the University of Northern British Columbia. The 3MT competition is open to everyone. Seating is limited, and tickets are available at: ubco-3mt-tickets.eventbrite.com. A reception with participants and UBC staff and researchers will follow the event. More details about 3MT are available at 3MT at UBC Okanagan or by contacting pieter.uni@ubc.ca. This Wednesday, UBC Okanagan will hold its first-ever Giving Day—a 24-hour giving challenge where the community is being encouraged to raise funds to improve on-campus student experiences. People can contribute to UBC Okanagan Heat athletics, UBCycles, the Building Academic Retention Through K9s (BARK) program, the Library Innovative Fund and many other projects that will benefit students across the campus. One of the 11 campaigns is a walk-in wellbeing clinic. Initiated last fall as a five-week pilot project the clinic is now open every Thursday and provides a free walk-in mental health clinic for students, faculty, staff and the public. It operates as part of the clinical psychology program, providing clinical PhD students training experience learning directly from the registered clinical psychologists. On March 6, the online campaign starts with specific challenges that boost donors’ support. There is also an alumni challenge, where the project that gets the most support from UBC alumni will receive an additional $500. For those who are into fitness, there is a Hangar Equipment Challenge that will see Flaman Fitness contribute $500 if 15 people donate a minimum of $15 each to the Hangar equipment fund. To make sure everyone can get involved, there is a campus-wide event on University Way from 10 a.m. to 1 p.m. For $2 participants can enjoy a hot dog and ice cream, while visiting with the Heat mascot and BARK therapy dogs or snapping a photo with the UBCO Motorsports’ Formula race car OgopoGO19.